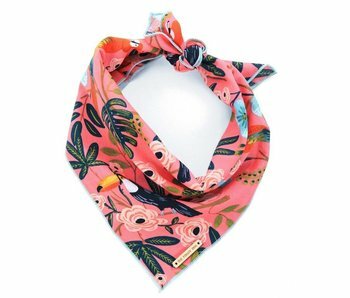 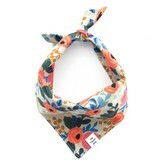 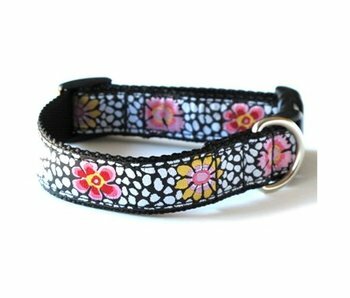 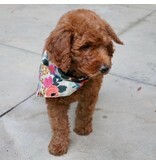 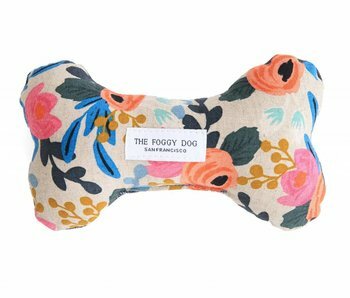 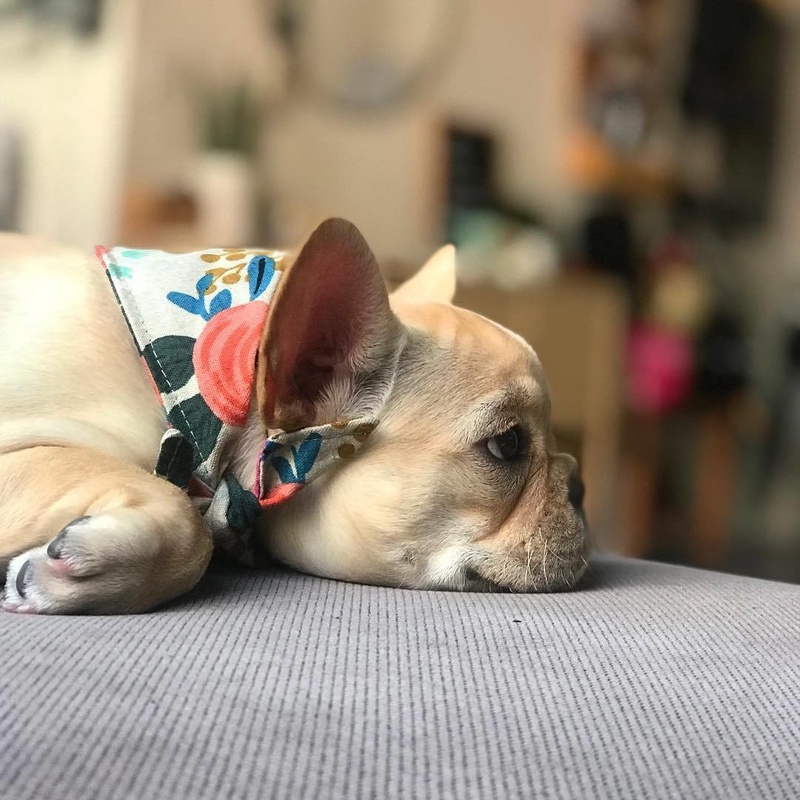 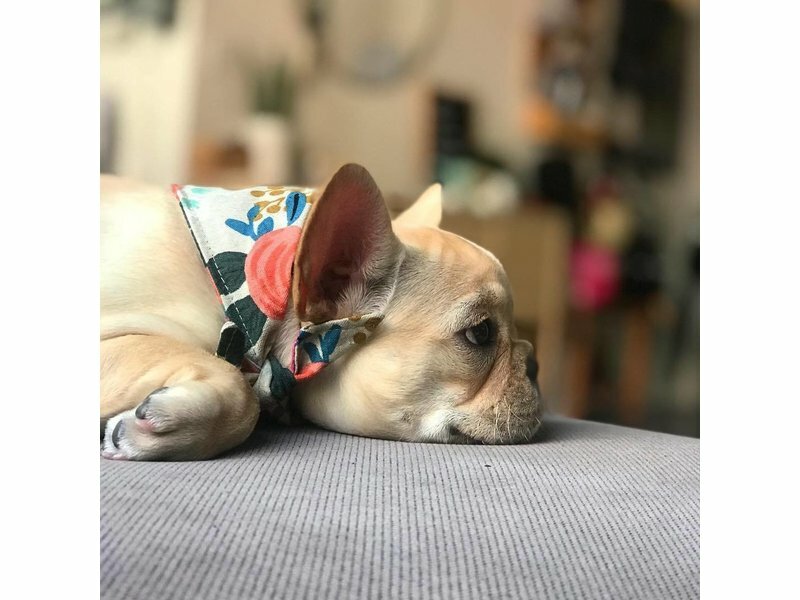 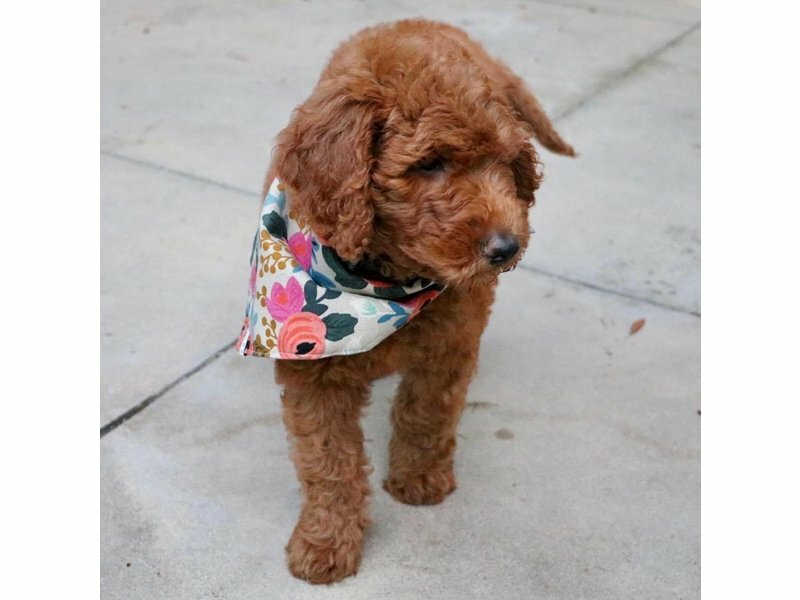 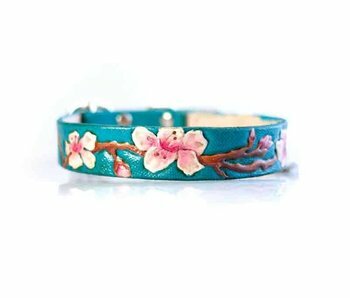 Our Rosa Floral Natural dog bandana features designer Rifle Paper Co.'s handpainted pattern of fuchsia, coral, and teal flowers. 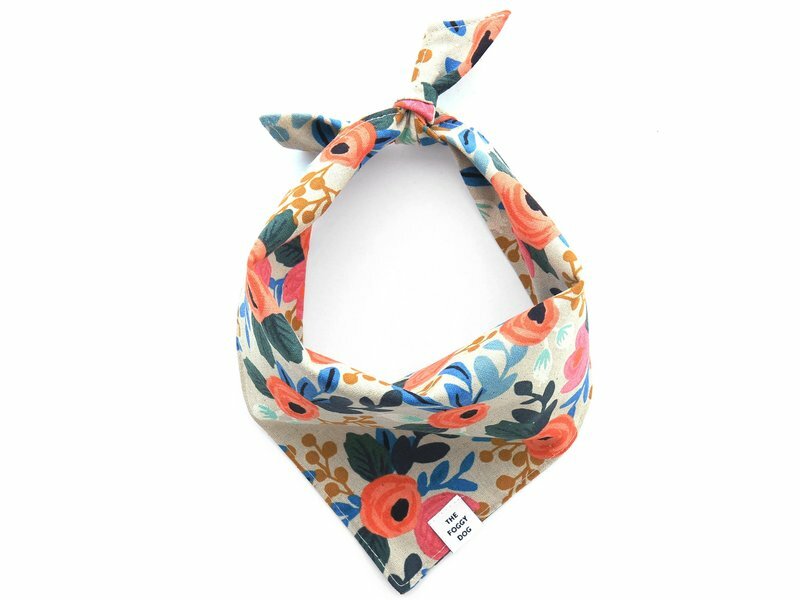 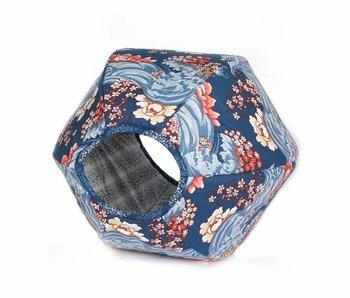 Screenprinted in one of Japan's premiere textile facilities, this cotton-linen blend fabric is beautiful, durable, and machine washable. 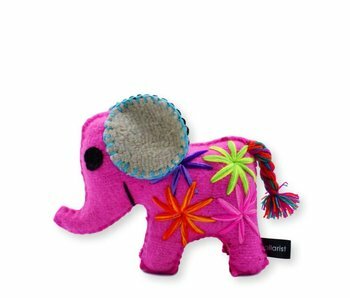 Made of a linen-cotton canvas, this bandana is crafted in a unique shape that minimizes bulk and maximizes sizing flexibility while retaining the just-so look of a classic knotted bandana.